Flash floods will hit parts of the UK today as torrential downpours of rain are set to continue after a miserable Bank Holiday. Drivers have been warned to be careful as travel times could be adversely affected due to the heavy rainfall. The Met Office have issued flood warnings for 9 different areas on Tuesday with the Eastern part of the country taking the worst of it. Areas such as East Anglia, Yorkshire and the East Midlands are expected to get up to 1.5 inches of rainfall in as little as 24 hours. This level of rain in such a short period can be in put in context as the average rainfall for May is usually around 2 inches over the 31 days. 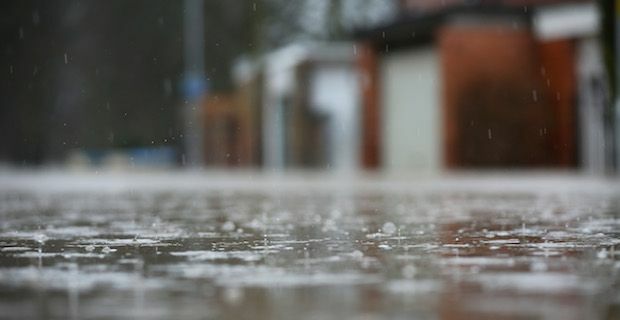 The rainy weather is expected to continue towards the weekend albeit not as heavy as today while temperatures are set to remain as they have been. Mark Wilson of the Met Office broke the bad news saying "It's going to be the eastern part of the UK that will bear the worst of the weather on Tuesday. There will be some torrential downpours affecting East Anglia at first and then moving into the East Midlands, Yorkshire and Humberside. It was only last week that thunderstorms battered parts of the UK and caused more flash flooding. Long term forecasts are more positive however as the weather is expected to settle down towards the end of June.